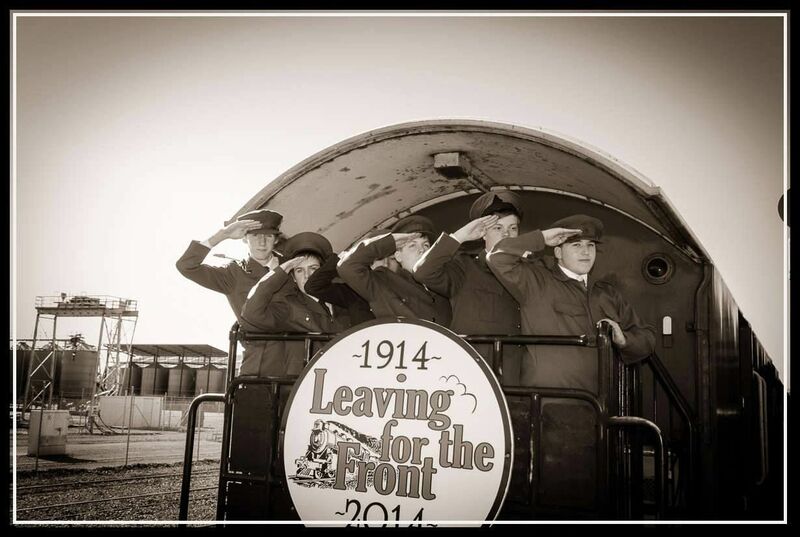 Photograph pf the 2014 soldiers leaving for camp thanks to Geoff Walker. The “Leaving for the Front” re-enactment was a great success, with over a thousand locals taking part in farewelling a group of young men who represented those who left on 13 August 1914. Speechs were delivered at the Town Hall, soldiers marched, bands played, young women kissed the soldiers and waved handkerchiefs at them, and the saluted the crowd as the train pulled out. It was a very successful start to the WW100 commemorations locally, and well supported by local and national media.